With two jobs and two children, Jess Thomas does her best day after day. But it’s hard on your own. And sometimes you take risks you shouldn’t. 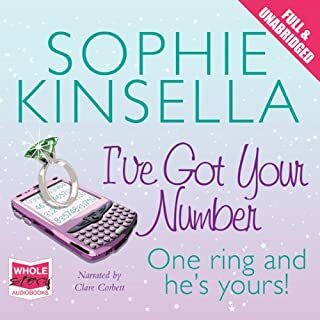 Because you have to.... Jess’ gifted, quirky daughter Tanzie is brilliant with numbers, but without a helping hand she’ll never get the chance to shine. And Nicky, Jess’ teenage stepson, can’t fight the bullies alone. Sometimes Jess feels like they’re sinking.... Into their lives comes Ed Nicholls, a man whose life is in chaos, and who is running from a deeply uncertain future. 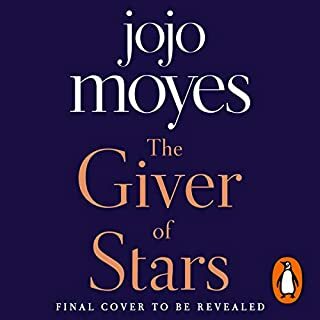 Inspired by a remarkable true story, The Giver of Stars features five incredible women who will prove to be every bit as beloved as Lou Clark, the unforgettable heroine of Me Before You. Available for preorder now. Natasha is a lawyer whose job is to represent the best interests of children. 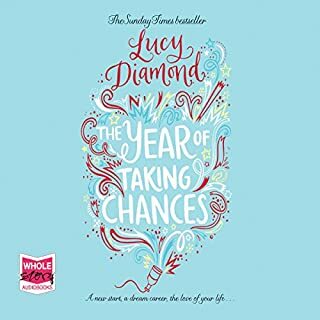 Her confidence in her judgement has been shaken and her marriage has died - but an encounter with Sarah may lead to Natasha learning all she needs to know about life from a fourteen-year-old girl and a large horse named Boo. This was one of the best books I have downloaded for a while. 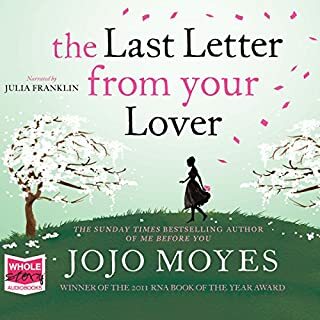 JoJo Moyes never disappoints. Every book is different, and this is definitely one of her best. Highly recommended even if you aren't into horses.If you have read JoJos' books before then you will not be dissapointed. 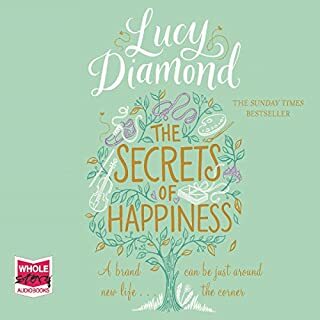 If you are new to her books then this is a great place to discover her. 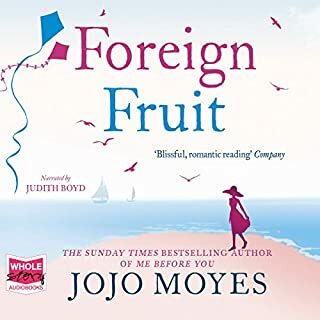 Jojo Moyes once again draws realistic characters who have passions and foibles. This one explores human relationships and those between a girl and her horse. In this book you are drawn to Sarah and how she trains her horse in classical equitation. Whilst you are focusing and empathising with Sarah and her horse you are emotionally caught up with her home-life. Very enjoyable. My walks got longer as I wanted to know what would happen next and then of course came the downer when it had finished. 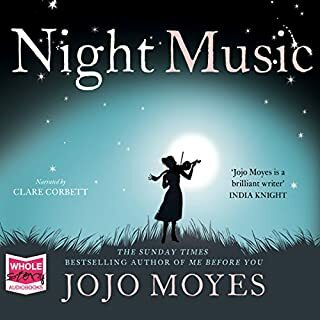 This was my second jojo moyse book and definately won't be my last. I have little interest in horses but after a slow start this book gripped me , the characters were well formed and the story touching and satisfying. Absolutely love this book. Quite unrealistic in parts yet a very enjoyable read and definitely one to recommend. 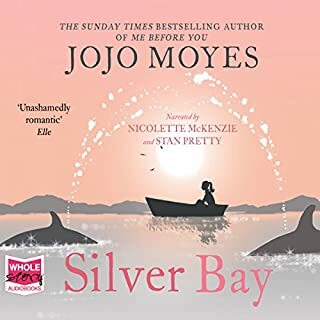 It didn’t enjoy this book nearly as much as the author’s You Before Me and The Girl you Left Behind, which have far more nuanced characters and realistic stories. 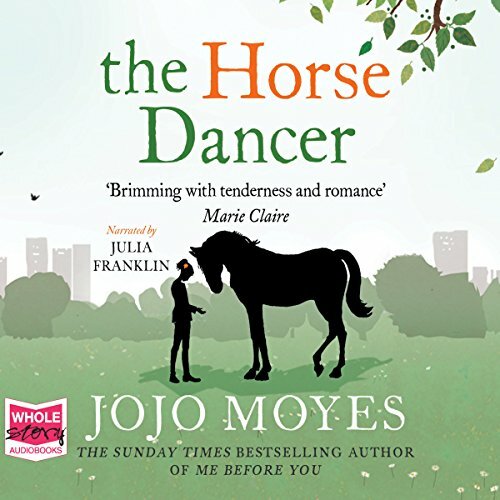 The Horse Dancer starts promisingly but soon descends into an unbelievable journey to France by Sarah, a horse-mad 14 year old. 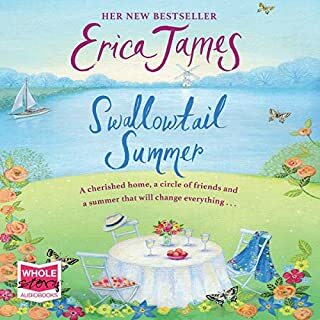 It doesn’t help that most of the main characters are unpleasant and/or caricatures: Sarah is obsessive, rude and ungrateful notably when lawyer, Natasha, implausibly takes Sarah into her home after meeting her shop-lifting and then sacrifices much to help her. For most of the book Natasha is in an over-wrought state and bickering with her estranged husband, Mack. There’s just too much friction, over-blown emotion, improbable jeopardy and characters acting stupidly. The only wholly admirable character is the horse! After hours of incessant conflict and arguments the final epilogue has the main characters implausibly transformed into a saccharine-sweet happy family. 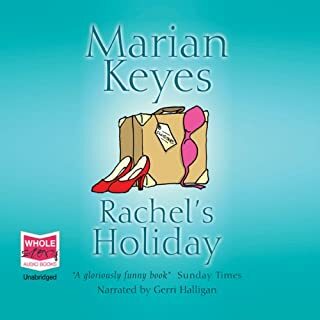 The narrator does give the various characters distinct voices but she over-emphasizes the stridency of Natasha’s grievances and Sarah’s surly truculence, which makes both even less likeable. I didn't know what to expect from this, but my pony-mad childhood came back to haunt me as I was choosing what to download next - and as so often happened in those days I made the decision because there was a nice horse on the cover. I loved it. I may not have made best friends with all the characters, but I empathised with them. One scene actually had me in tears as I was running down quite a busy road, and that's a first. Well-written and well-read and I enjoyed the first half. As the melodrama picked up though the plot became increasingly implausible, and the characters became increasingly silly in order to make the plot happen. Could have forgiven the plot but the characters got on my nerves until I heartily disliked all of them. Matter of taste I suppose but I barely made it to the end. Loved the story, so much so that I looked up the history of the riding school and watched clips of the riders on you tube, amazing! 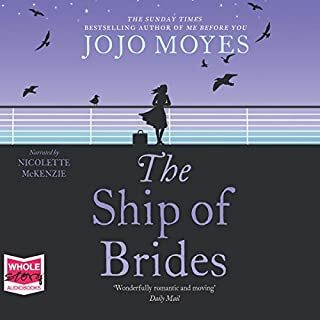 Brilliant writing as always, love jojo moyes books. 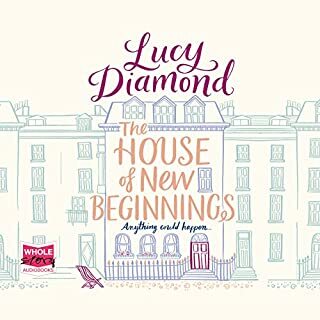 I listen on the way to and from work and she just whisks you away to other places, fantastic way to spend a journey :) can't wait to read more of her books. Great story! Captures the real love and sacrifice between a girl and her horse. I hung on every word of this novel. I loved the narration, her animated voice was perfect for each character. The story line was well woven. Jojo did a fabulous job with the horse terminology. Being an avid dressage rider, I will suffer through a lot if it is horse related, but I never found the horse parts cliche. I even got my husband hooked on the second half after he started listening. This is a true coming of age novel for all ages! (By Carol, not Mark.) 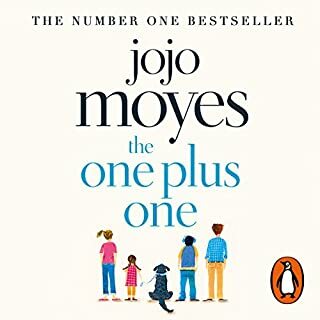 I listen to LOTS of audio books, and this is simply THE best I've ever heard, the first I've ever felt compelled to comment on. 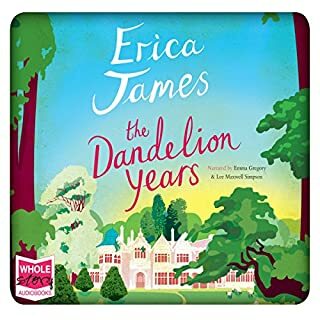 The narrator is superb, and the storyline mesmerizing; I acutally took it to bed with me a couple of evenings because I was simply unable to turn it off! The characters are fully developed and fresh,and the horse angle authentic. The author's commentary at the end about the origins of the story is the frosting on the cake. Listen to this book! You Get More That One Credit's Worth! I long for REAL horse stories and was surprised to find this one so superbly bound together with the myriad of human experiences from the tween years to middle age to dying and death. I cannot fathom a world without my horses. I admire the complexity of characters, plotting, and settings in which this author deftly weaves together. Though at times, it seems that too much incidental description is included, then comes the comes the moment this book needs it all so that it may be stitched back together for a satisfying conclusion. The only down side for me was the pacing of the reader, and that is simply a cultural difference. After the first hour, I was finding it a simply elegant rendering of a very satisfying book. Well worth the credit! Great characters, good drama interesting story all make this book a winner. Absolutely a great read especially for the horse addicted. This was a great listen, even though I frequently found myself groaning "oh no" when one more thing went wrong. The situations and characters were so well drawn, and the beauty shone through constantly in spite of the difficult situations. The narration is excellent, and the whole book very satisfying. Worth listening through the rough moments! I dare the reader/listener to keep a dry eye. This book about a young girl and her horse and her foster "family" made me feel and held my interest every in chapter. 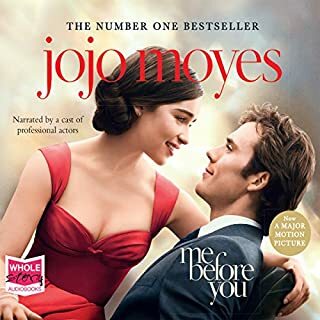 Jojo Moyes is becoming a favorite for me. This is the second book from this author I've truly enjoyed. And this one had a horse as a main character who develops a unique bond with his young rider. This is a story with adventure, family bonds, romance, betrayal, danger and redemption. I so enjoy a book that invites you in and brings you along for the ride. What did you love best about The Horse Dancer? I really loved the fact that, at last, someone has written a book for horse fans that is lyrical, honest, intriguing, and not gushy. Moyes obviously knows her horses. All the interactions between 13-year-old Sarah and her magnificent Selle Francais gelding stuck a very authentic note. I also loved how the storyline about Mac and Natasha realistically interwove with Sarah's story. Well, obviously, it has to be the horse. There isn't one particular scene that stands out for me, but I will say that I thoroughly enjoyed the descriptions of Sarah astride Boo, working on the haute ecole dressage moves that she knows are her--and her horse's--ticket to a better life. If you could take any character from The Horse Dancer out to dinner, who would it be and why? I would take the horse, Boo, out to dinner. I'd invite him to my barn, introduce him to my own horses, feed him a delicious bucket of warm mash and then ask him if he'd let me ride him in the morning. As I read this book, I found myself reminded of the writing of Jaclyn Mitchard and Jodi Picoult. The story had lots of twists, lots of harrowing moments that left you wondering, "Oh no, what's going to happen now?" The narration was extremely well done. All in all, it is a solid effort, an entertaining read. And, if you love horses, totally worth a token. Love the English authors! Thanks Audible for having so many available on your site. This book has an excellent plot and the information on Dressage is fascinating. I highly recommend this book. This was book was great. The narration was good, the story was exciting, and if your a horse lover you will be happy with the accuracy of her descriptions of dressage. I especailly enjoyed the quotes from Xenophon's "On Horsemanship" at the beginning of the chapter. Although it has a happy ending, be prepared to shed some tears! 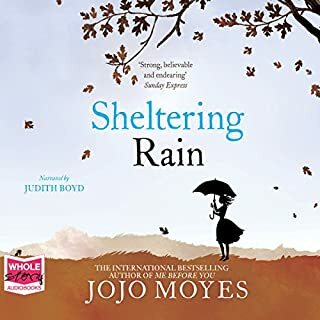 Jojo Moyes is quite the story teller—her pace is perfection. Sara, the young horse dancer, is forced to train frustratingly slow. But is pays off big time when it's time to put the horse to the test. So it is with The Horse Dancer. The first scenes were so un-dramatic I wasn't sure I wanted to continue, but then a whole new set of characters take center stage, and the details of the first chapters were invaluable. From then on it was a wild, wrenching extraordinary ride, so well worth it. 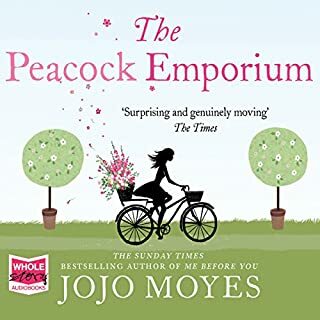 I especially love Jojo Moyes' endings. Well timed and satisfying - still I was sad when it was done because the adventure was so amazing. Julia Franklin is a gifted narrator who took on a diverse set of characters and accents with panache, coupling the novel perfectly.